According to HBO, Westworld isn’t your typical amusement park. Intended for rich vacationers, the futuristic park — which is looked after by robotic “hosts” — allows its visitors to live out their fantasies through artificial consciousness. No matter how illicit the fantasy may be, there are no consequences for the park’s guests, allowing for any wish to be indulged. 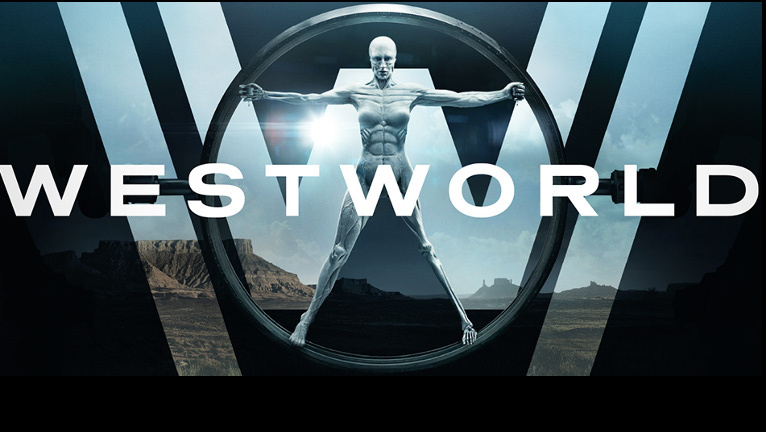 “Westworld” — which is based on the 1973 Michael Crichton movie of the same name — features an all-star cast that includes Oscar winner Anthony Hopkins, Jeffrey Wright, Ed Harris, Evan Rachel Wood, James Marsden, Thandie Newton and more. The show tackles some classic sci-fi themes like consciousness, artificial intelligence, the danger of technology and the nature of free will. Those deep topics, coupled with rave reviews from critics and immense passion from fans, have led to a spring of podcasts, fansites, an outpouring of fan art and numerous award nominations for the show. It is being hailed as HBO’s new Game of Thrones though fans will say it now sets its own benchmark for storytelling. The intriguing opening sequence alone captures audiences by bringing together the contrast of traditional western terrain with the creation of futuristic robotic hosts in the park. When writer and director Jonathan Nolan was considering his filming options southern Utah was top of his list. He traveled frequently in his younger years and told Scott Pierce of the Salt Lake Tribune: “the place that I always was drawn back to was southern Utah. It has these landscapes that don’t look like anywhere else on the face of the planet. That geography is exquisitely, exclusively American.” By filming in the region he felt he was hearkening back to the famous days of John Ford in Monument Valley though much of Westworld was filmed in Castle Valley, Moab. Actors take a break while on set of “Westworld” in Southern Utah. Photo courtesy of Westworld Daily. Anyone who has visited southern Utah knows, in between the brilliant vistas and breathtaking buttes there are lonely expanses of desert that extend past the horizon. So as you can imagine the crew had to use just about every tool in their arsenal to truly capture the majestic scenery. Helicopters were used to engross the viewer in expansive valley shots. And for closer details, cameramen floated the Colorado River and hiked through many of the more desolate or delicate red rock formations. Paul Cameron, the director of photography said the remote nature of many of their shoots proved to be challenging. “Practically every area was a walk-in area,” Cameron told Outside Magazine. So the crew did plenty of hiking. With ALL of their gear. Cameron let fans in on some scoop about the scene where James Marsden is riding in on a train looking out at his dusty kingdom. The train car was reconstructed and built to sit on a semi flatbed. Then the crew drove State Route 128 in southern Utah to see the scenery cross his field of vision. So the red rock dust, Russian thistle and rugged terrain in that sequence are real. Condé Nast Traveler packaged a few beautiful shots of remote but iconic Westworld locations for those travelers looking to visit the enchanting places in person. Bring a camera because the route is one of the most beautiful drives in the world. Stops include State Route 128 outside Arches National Park in Utah to Castle Valley, Utah which has served as backdrop to many great films like Indiana Jones and the Last Crusade and Stagecoach. …this vibrant center has been known to attract the attention of the occasional bandit or ne’er-do-well. exciting Festival year for the state and 2017 is shaping up to be another impressive year all-round for the Utah film community.